The Alcatel OneTouch Watch is the first foray into the world of smartwatches from the maker of the popular Alcatel touch screen devices. Thanks to its small lithium battery, the Alcatel OneTouch Watch has impressive battery-life and can go days without needing to charge the battery. When you do need to charge it, there’s no need for extra cables. 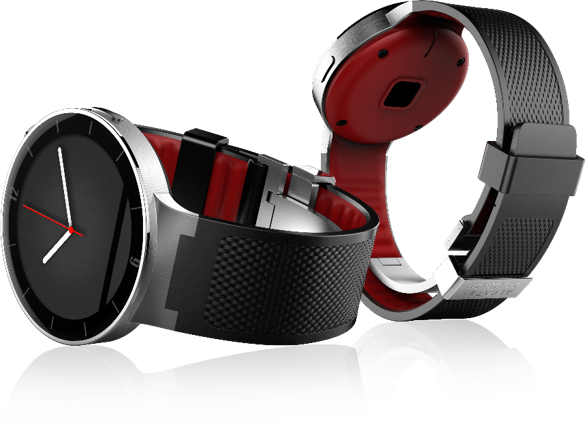 The sleekly designed watch has the charger hidden into the wristband. The Alcatel OneTouch Watch is compatible with both iOS and Android phones, allowing you to pair it with whatever smartphone you use already. You can see it in action in this YouTube video demonstration. Can’t wait to try it out yourself? The fastest way to buy the Alcatel OneTouch Watch with international shipping is through Big Apple Buddy. Wearable technology tends to either function as a fitness tracker or as a smartwatch. 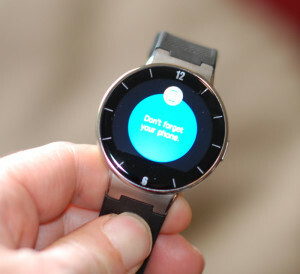 The Alcatel OneTouch Watch merges these two types of wearable technology into one attractive innovation. The smartwatch is able to connect with your smartphone, allowing you to receive notifications, email previews, social media updates, and text messages on your wrist. It also functions as a remote control for your music player and camera on your smartphone. Equipped with an accelerometer, gyro, altimeter, ecompass and heart rate sensor, the Alcatel OneTouch Watch’s full set of fitness tools can help you keep track and take control of your daily activities. Monitor calories burned, steps taken, heart rate, and hours of sleep at a glance. Want to know even more about the Alcatel OneTouch Watch before you buy? Check out the full technical specifications on the Alcatel OneTouch website. 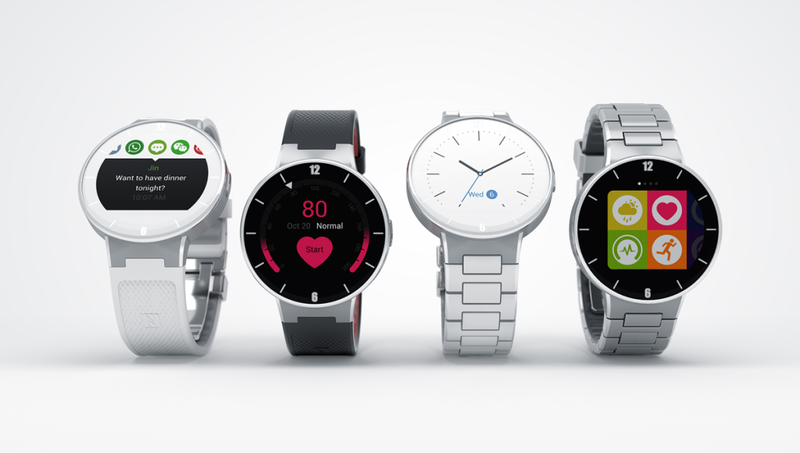 You can buy the Alcatel OneTouch Watch in four different stylish designs, including rubber and metal band options. The customizable watch face provides a range of choices to suit your personal taste and fashion. This elegantly designed wearable technology is attractive enough to be worn for a night out and durable enough to accompany you on any outdoor adventure. Dustproof and water-resistant up to one meter, the Alcatel OneTouch Watch is made to be worn every single day, all day long. It is available in two sizes, S/M and M/L, to ensure a comfortable fit. With Big Apple Buddy, you can now buy the Alcatel OneTouch Watch with ease. We ship to over 220 countries worldwide including, Singapore, Australia, Taiwan, Hong Kong, Germany, South Africa, Brazil, New Zealand, Italy, Spain, Norway, Canada, France, UAE, Denmark, Saudi Arabia, Malta, Slovenia, Slovakia, Estonia and the UK. If you want to buy the Alcatel OneTouch Watch, there's no need to wait any longer. Contact us today for a free quote!